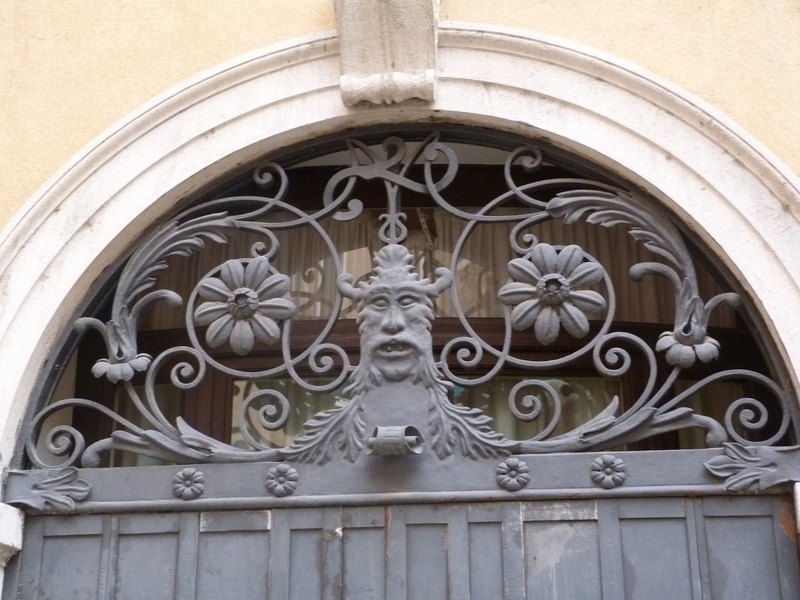 Absolutely loved your doors, gates and knockers page. When we were in Russia/Eastern Europe last year, I took lots of similar photos. 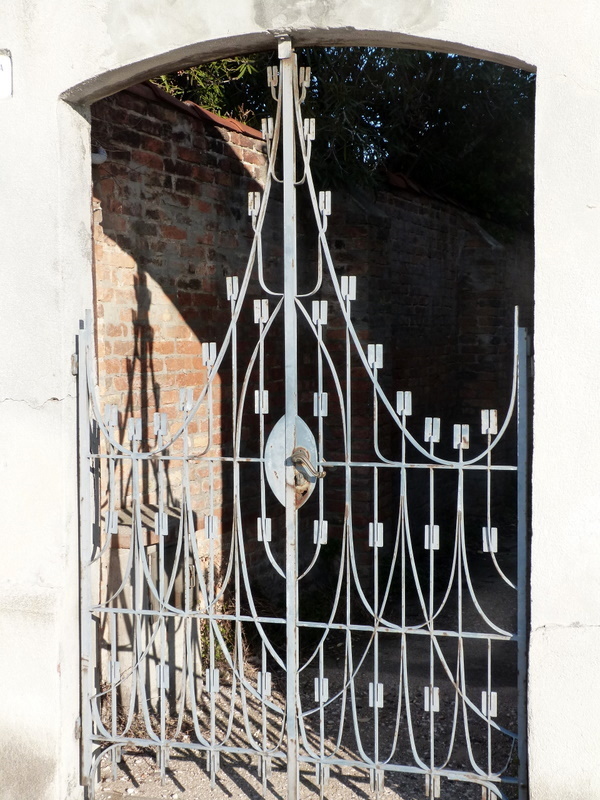 I find them quite evocative. I found your blog by ‘googling’ ‘what to do in Venice when you have been there before’ , even though it was 1972 when we were last there! Hi, Marie. 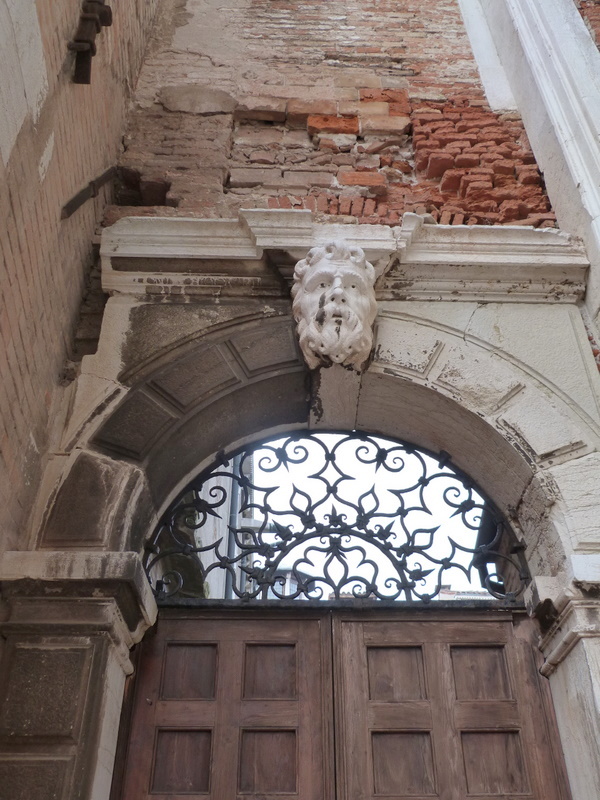 Are you planning a triumphant return to Venice? 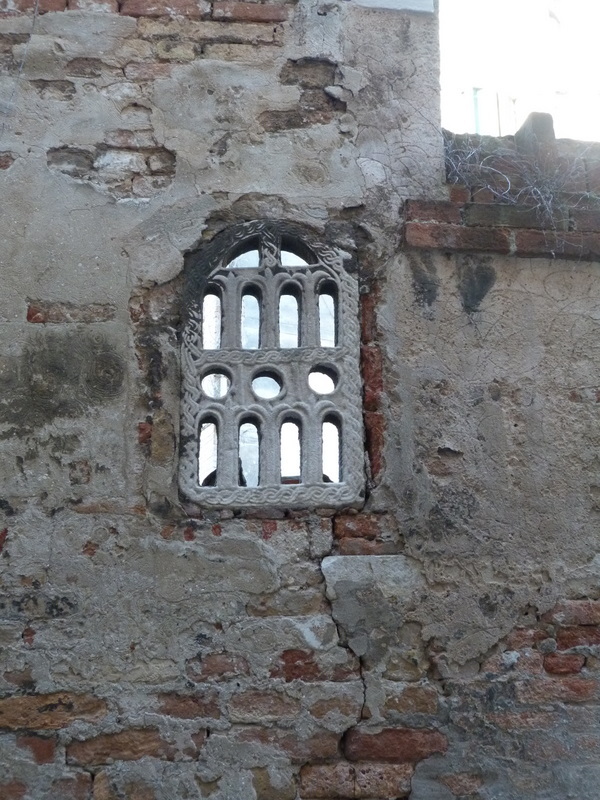 One of my books says that the little window in your 5th photo dates back to the 9th or 10th century. The workmanship is so beautiful! Oh, Annie, that makes me love that little window even more. Thank you for adding to the educational climate of this post! Did you have a nice Easter? 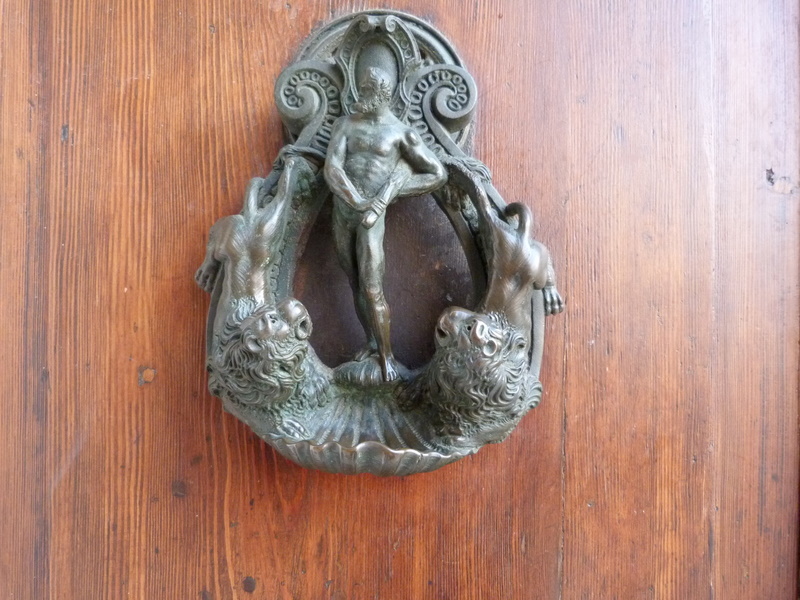 Again, not the kind of knockers I was hoping for…especially after the recent, racy Canova-bottoms talk. Perhaps you can, um, touch on this topic in a forthcoming edition? Hey, the FS pops up again! You know I’m a touchy-feely person, so I’ll do my very best to acquiesce. I’m about to pop that loaf of bread in the oven. Come on over for dinner! And the score is: Hercules-2, Lions-0. They’re looking up at him with ‘stunned’ admiration, Bert. A big muscly guy with a club is usually Hercules. He had a couple of run-ins with lions. 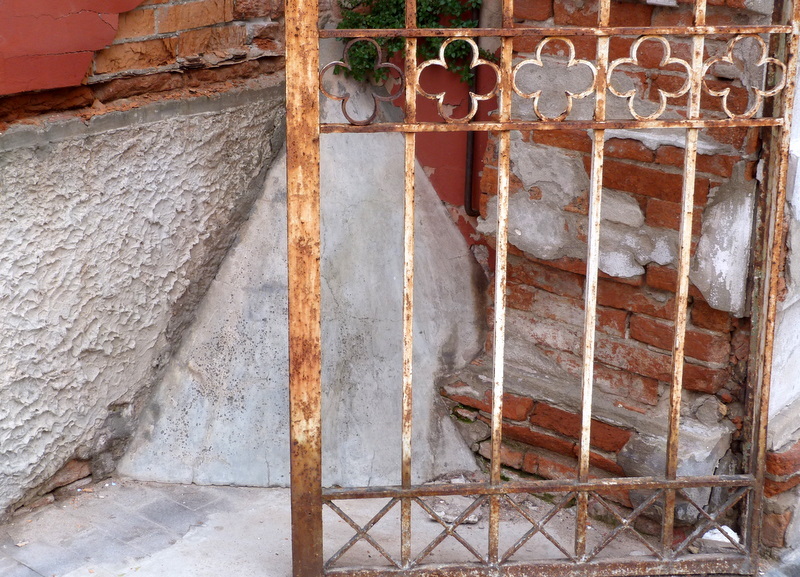 Wow, a pissotta so special it needs to be protected with a gate! 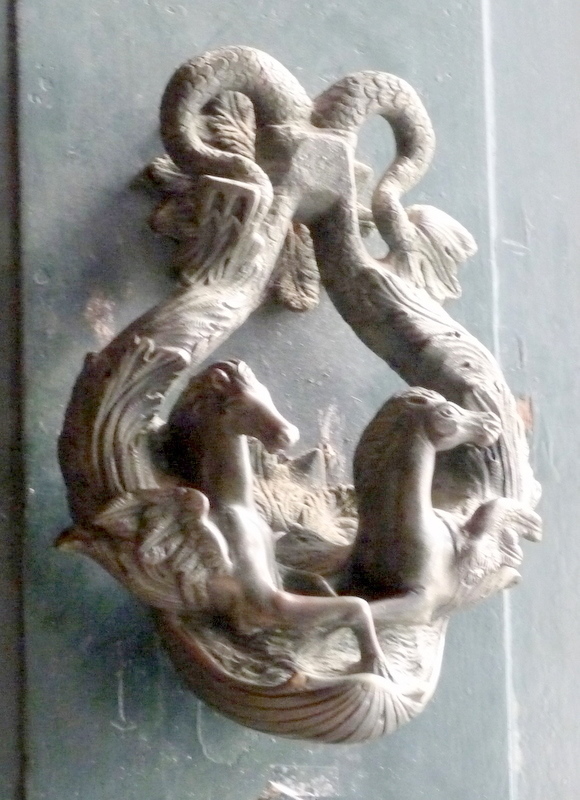 I love that sea creature door knocker/handle. I like how a really old, weather-stricken door may sport a splendid knocker/handle. The last one is a very camp guy. Do you think it’s meant to be Daniel in the lions’ den? The shell says perhaps not. I went to a talk about a van Dyck painting a few months back, and was interested to hear the lecturer say the hand-on-hip pose which is now seen as camp was formerly seen as a pose of power (early 17th century in this case). How neat is that! And, how educational is this post becoming?? 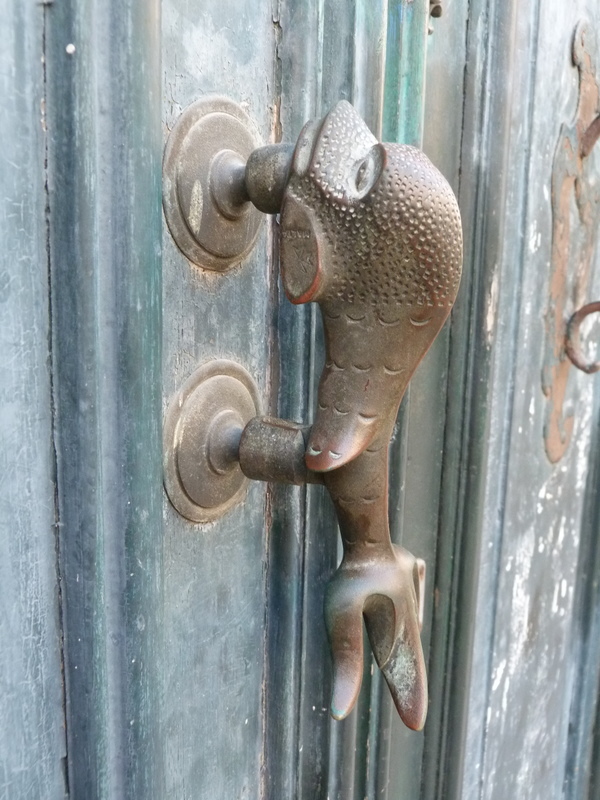 Had me worried…in this country “knockers” mean something else entirely. This blog is devoted to educational purposes, Michelle, including cross-cultural vocabulary enrichment!